A company planning to relocate is usually doing so for a number of reasons. Some companies operate through extensive planning processes and may have short term objectives as well as long term objectives. When considering a corporate relocation, companies must examine several major factors that will impact their decision. Sometimes these major factors have been known to the company, especially if they experience challenges in talent acquisition and management. 1. Quality of life considerations for their employees. This encompasses a wide variety of issues including housing and tax costs, commuting times, access to social and educational venues, and environmental concerns. Opportunities for spouses and partners are critically important for relocating employees to ensure success. Family matters and career support for spouses should be a part of any corporate relocation initiative. 2. Workforce issues such as being closer to employees with the necessary education and technical skills. Companies seeking to hire talented employees often prefer to be near a locale that has a large talent pool of viable candidates for job openings and growth opportunities. 3. Upgrading facilities and equipment is an important factor for any company planning to relocate. Some companies currently operating in outdated facilities may be at a competitive disadvantage. Their competitors may have newer facilities with access to new technology, high-speed communication, and other updated amenities. 4. Access to new markets is a major factor for corporate relocation. The ability to reach new clients and gain exposure in a new location can help a company reach corporate objectives quickly and successfully. In some cases, a corporate headquarters move is made to provide greater access to capital and financial decision makers. Many large companies have facilities in various locations to gain unique advantages specific to those areas. 5. Cost considerations may be a factor in some corporate relocations. 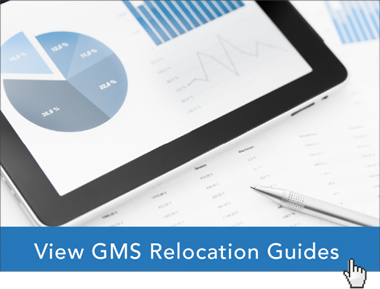 Once a company planning to relocate reaches a decision, there are many points to consider. As it plans for a corporate relocation, a company should consider each point to ensure it is fully aware of potential issues, plans are in place, and preparations are sufficient to ensure a smooth relocation experience. 1. A project team should be in place to plan the relocation. There are many aspects to consider. Several elements in corporate relocation may take a considerable amount of time for review, discussion, and formulation of plans. Companies considering a corporate relocation should have a written plan. Also, they should review this plan for accuracy to ensure it meets stringent corporate, customer, legal, and operational requirements. Important consideration should be given to the relocation budget. Companies should be fully aware of all the costs their corporate relocation will incur. 2. Contingency planning should be an integral part of a company’s corporate relocation plan. Outside factors such as weather may severely impact the ability to move people and equipment in a timely manner. For each contingency, companies should identify a proper protocol to ensure the relocation goes back on track as soon as possible. Proper planning should include a review of backup systems for information networks, customer communications, and employee outreach. In all cases, everyone should have a way to contact the company to ensure business remains ongoing during the relocation. 4. Technology systems are usually the most critical component for a company to consider during a relocation. Connectivity, security, adequacy of backups, and ability to restore systems should be reviewed to ensure full compliance with corporation needs, customer requirements, and business continuity plans. 5. Communication is a key point for any company planning to relocate. A company planning to relocate must ensure employees, customers, vendors, and others receive information about the move. Often this is a good opportunity for positive Public Relations (PR) efforts that can highlight the corporate relocation’s benefits in many ways, while giving the company greater exposure to tout their growth and initiatives. Companies should consider the audiences that will receive their message. They should also determine how they will express the traditional PR messages of who, what, where, how, and when. What Should a Company Planning to Relocate do? A company planning to relocate should identify all of the factors leading to the corporate relocation decision. Also, the company should consider all of the Top 5 Points that may impact the relocation. Companies considering a corporate relocation should work with a qualified Relocation Management Company (RMC) that has knowledge and expertise in all of the planning and processes inherent to relocation. Corporate relocation experts provide valuable insight. As a result, they can help a company’s corporate relocation process run smoothly, quickly, and with the least amount of disruptions. Engaging a Relocation Management Company early in the process will ensure a company has a knowledgeable partner that can guide them through all phases of the corporate relocation. GMS’ team of corporate relocation experts has helped thousands of our clients develop plans and processes to ensure a successful and efficient corporate relocation. As a result, our team can help your company planning to relocate understand how to proceed with a corporate relocation. This will keep your company operating at top capacity before, during, and after the relocation. Contact our experts online to discuss your company’s corporate relocation, or give us a call at 800.617.1904 or 480.922.0700 today.